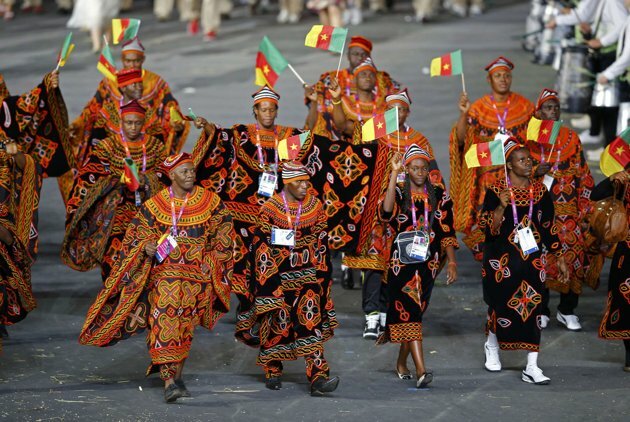 Cameroon- I love how they used designs and clothing that would be worn in their country. Seeing this gave me a feeling of what to wear if I ever am able to visit this country! 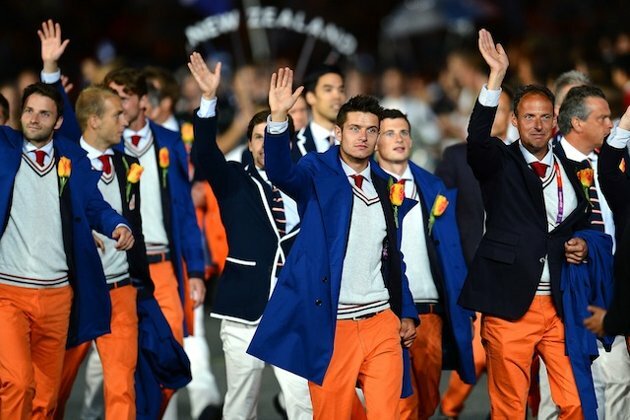 Netherlands- I personally think orange is a hard color to wear. Maybe because it is not in my color wheel but I think that the Netherlands’s designer did an excellent job with the color blocking and made it fashionable and they stuck out apart from other countries. This was one of my favorites! 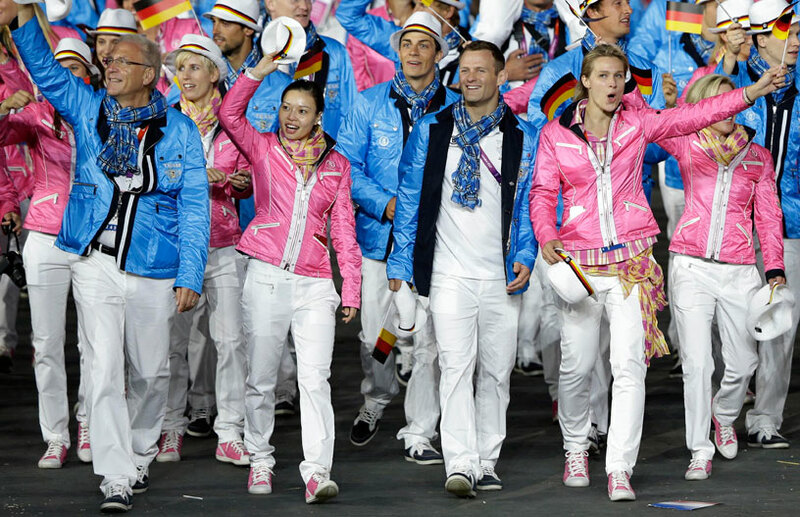 Germany- There was a lot of debate about this outfit however, I love these pink jackets and the pink sneakers. I thought it was something different and made them stick out ~ an you know we are all about standing out in the crowd at Gypsy Soule. Paraguay-I loved this red dress and matching red flats. I thought it was simple and elegant. I wasn’t a fan of the men’s outfit though ~ sorry! Mexico- I loved all of the colors and how it showed the county’s heritage. I know this would be Amy’s favorite since she is obsessed with the Mexican Culture and she LOVES the color!!!!! Jamaica- I liked how modern this outfit was ~ don’t you? 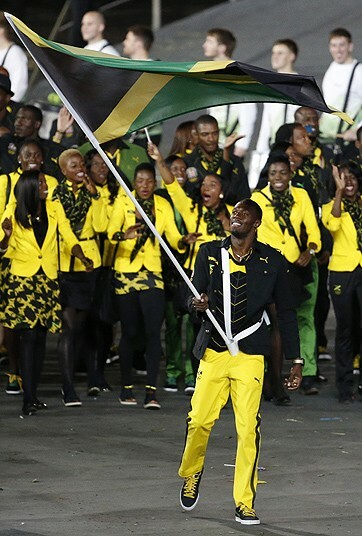 It was very bright due to the use of Jamaica’s countries colors. I also loved the sneakers and leggings under the skirt ~ it was quite the fashion statement! 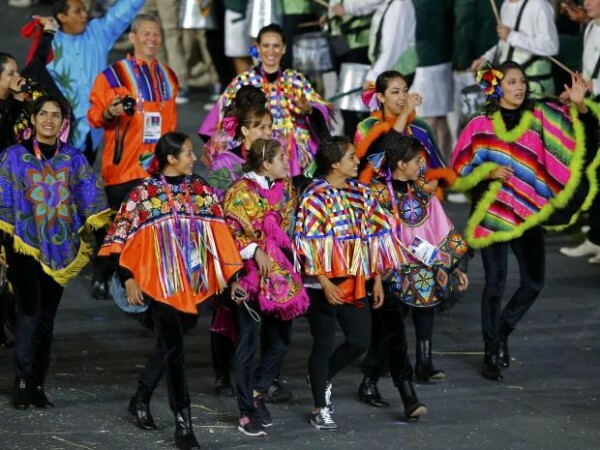 I also thought it was awesome the way the men’s blazer stood out from the other countries. Poland- I liked the men’s all white suit and brown shoes. I thought it was elegant and simple ~ very fitting for the country. I also liked the women’s flower skirt. It’s not too much floral and it works well with the men’s outfit. A tad bit conservative ~ but it takes all kinds to make the world go round doesn’t it? United States- This outfit was made my Ralph Lauren. Who else could design for America but the King of Americana. Kinda makes you wanna stand up and sing the National Anthem huh? I like the men’s blazer and the white pants and skirt. I am not a fan of the hat though ~ sorry Ralph! I also felt that the women’s shoes and socks looked very little girlish and a little preppy!! I have to say that the outfit could have been more modern looking and not so conservative! These are just a few that stuck out to me as I was watching. 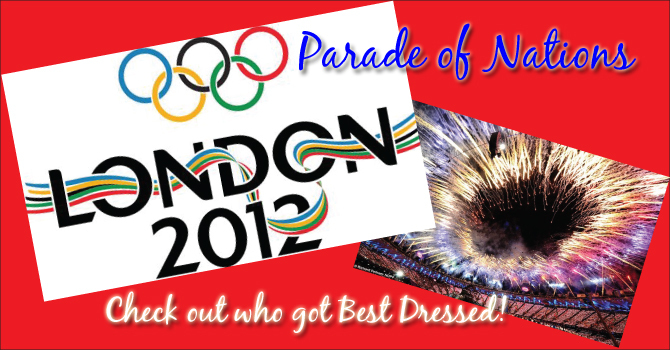 What were some of your favorite outfits in the Parade of Nations? If you were the designer would you have done something different in any of the outfits?